Specialty crops are a critical part of the U.S. economy, contributing nearly $65 billion in sales every year. Agriculture Secretary, Tom Vilsack, recently announced nearly $118 million in grants to support specialty crop markets, such as fruits, vegetables, tree nuts, horticulture and nursery crops. This investment was authorized through the 2014 Farm Bill in effort to improve the competitiveness of specialty crops and provide resources to strengthen American agriculture. Vilsack said, "Specialty crop grants provide a major boost to the rural economies. Today's announcement is another example of how USDA is implementing the Farm Bill to deliver critical tools producers need to successfully grow, process and market high-quality products." Specialty crops are a critical part of the U.S. economy, with sales of nearly $65 billion per year. The Specialty Crop Block Grant Program, directed by the USDA’s Agricultural Marketing Service (AMS), will provide $66 million to state departments of agriculture for projects that help support specialty crop growers. These projects include research and programs to increase demand of locally grown fruits and vegetables. USDA’s National Institute of Food and Agriculture (NIFA) is also investing $51.8 million through its Specialty Crop Research Initiatives (SCRI) to support the specialty crop sector with science-based tools to address the needs of specific crops. Specialty Crop Block Grants were awarded to 838 projects in all 50 states, the District of Columbia, and four U.S. Territories. The Florida Department of Agriculture and Consumer Services (FDACS) will receive $4.5 million to fund 34 projects. 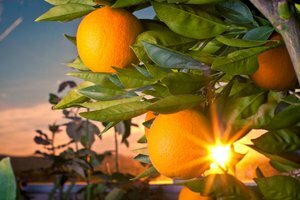 One project will support the FDACS in partnering with Miami-Dade County to strengthen the market viability of local specialty crops. This project will also educate the public about consumption of specialty crops to improve nutrition and publicizes the availability of local specialty crops. Over the past five years, the 2014 Farm Bill has built on historic economic gains and the USDA has proceeded to implement each provision of this critical legislation, including providing disaster relief to farmers and ranchers, strengthening risk management tools, expanding access to rural credit, funding critical research and more. These grants display USDA's commitment to improve the specialty crop industry and strengthen American agriculture.